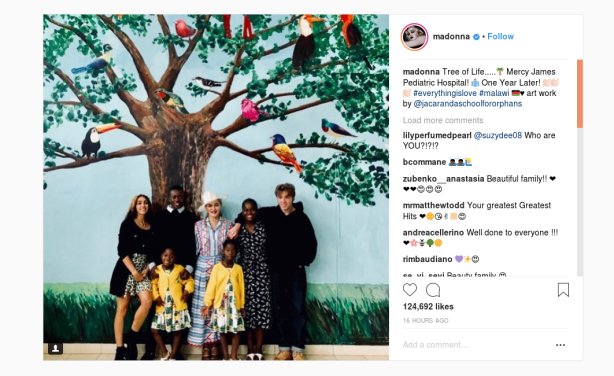 Madonna has returned to Malawi to celebrate the first anniversary of the Mercy James Centre for Pediatric Surgery and Intensive Care, named after one of her adopted daughters. The pop star toured the facility and was delighted with the services it is rendering, including the first successful separation of conjoined twins in Malawi. Madonna poses with all six of her children as they visit Malawi.